We are so glad you are here! 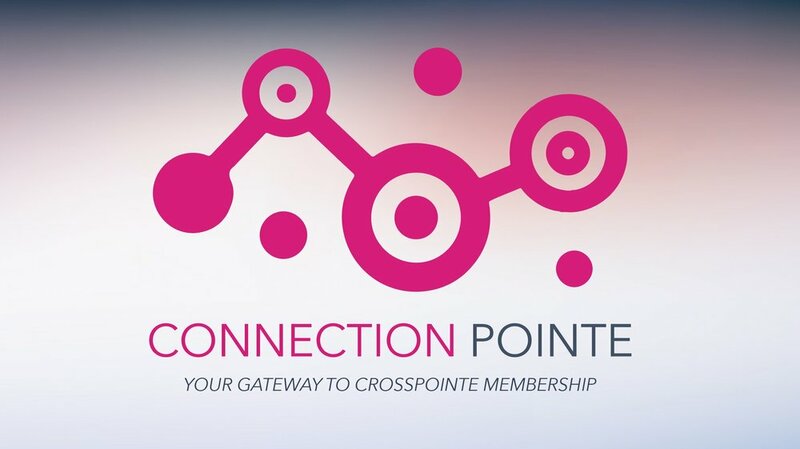 This membership study is intended to "Pointe" you in the right direction to get connected here at CrossPointe. To sign up for Connection Pointe, simply email info @crosspointe.tv and let us know you'd like to attend! Children are highly valued in our Kingdom Kids Children's Ministry. They represent our present and future ministry and kids count in the Kingdom of God. Jesus said in Matthew 18:10, "See that you do not look down on one of these little ones." Our mission here at CrossPointe is to assist parents in teaching children to know, love, and follow Jesus! We strive to fulfill that mission with excellence through our small groups and worship services on Sundays and Wednesdays for all children ages birth-6th grade. You won't want your child to miss being involved in this ministry! For more information contact Jimmy Crawford at jcrawford @ crosspointe.tv. Our Student Pastor will be teaching through a book of the Bible and then we break up into small groups according to grade and gender. In the small groups we will talk, pray, and figure out how to apply what was taught into our daily lives. By 10:15 we will be done and encourage student to go to a 10:30 worship service with their parents. From 6:30-7:00 is hangout time. The gym, video games, ping pong, pool tables, or hanging out with friends is all available. At 7:00 we have a large group worship service with our student band leading us in worship and our Student Pastor will be speaking through a book of the Bible. Every now and then there is a game thrown in there too. 8:00 is time to head home. CrossPointe Church wants to be responsive to your needs. Please contact the church office at 405-329-0823 or email pastorcare @ crosspointe.tv to let us know about hospital stays, surgeries or any other situation that you would like a Pastor Care Team Member to visit and pray with you or your loved ones. The CARS Ministry is comprised of a group of amazing men and women who assist people in need by performing light automotive repairs. If you have questions about receiving assistance or would like to volunteer in this ministry please call the office at 405-329-0823. While every adult should be growing in their faith, not everyone has the same time, schedule, or needs. As a result we have designed our Pointe Groups to include traditional Sunday school, mid-week studies, Home Groups, and Action groups. If you would like more information about our groups, please visit the Pointe Group Page or pick up a sheet at any of the Information Pointes. The Community Center is open Monday-Friday: 8 AM - Noon. Membership is $15/month and includes usage of the basketball court, walking track, weight room for all members 15 and older, and our aerobics classes. Check-in and make payments in the Main Office. The Seniors Ministry offers a variety of fellowship and serving opportunities for you to participate in. So, whether you join the CrossPointe Travelers for their monthly excursion, the Rose Rock Covered Dish Fellowship, the weekly service at Rivermont, serve in the Food Pantry or join the Visitation Team, you’ll find a true sense of belonging as you do life together! For more information please call the office at 405-329-0823. Our Care Center is a Food Pantry and Clothes Closet that provides assistance to families in need. If you have questions about receiving assistance or volunteering, please call 405-329-0823. CrossPointe firmly believes in carrying out God's work at home and abroad. CrossPointe members are helping meet people’s basic needs and in turn earning the right to share the gospel. Members have served on numerous short-term mission projects in West and North Africa. These projects have helped provide people with much needed medical care, immunizations, surgeries, and safe drinking water. The projects have also included construction projects to renovate schools and have provided school desks and supplies for the children in these areas.